There are few things I love more than a juicy, grilled chicken breast. Now that it’s freezing, I’m having major grilling withdrawals! 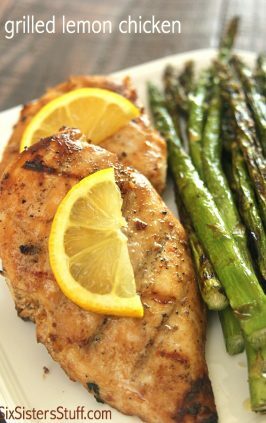 Most of my favorite chicken recipes are grilled, but this baked chicken recipe may have landed itself in our top 5 favorite chicken recipes of all time! 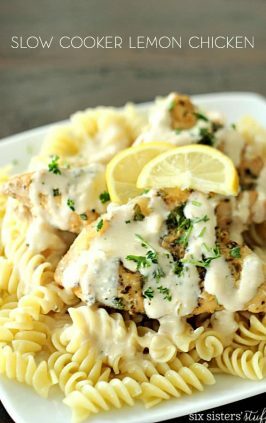 The chicken is so flavorful and the sauce is amazing! 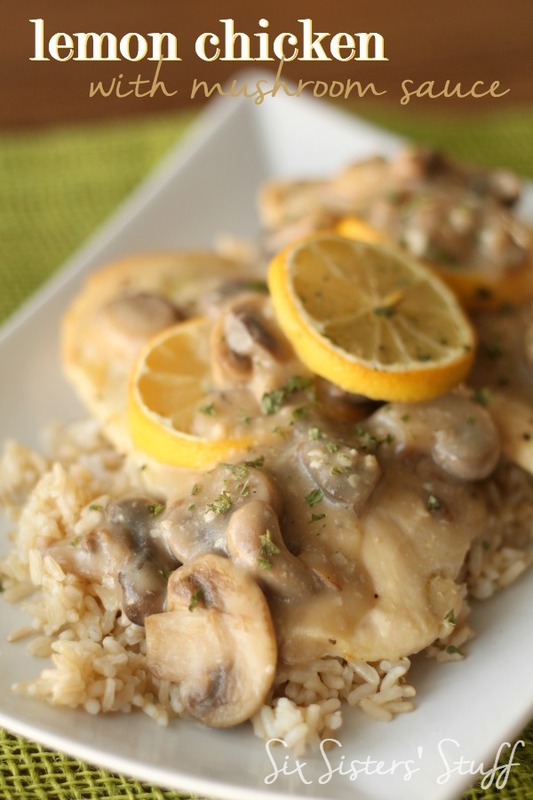 This chicken has such an amazing lemon flavor and is perfect with the mushroom sauce on top! Pour and spread olive oil in a 9 x 13 inch baking dish. Place chicken breasts in the dish and coat each side with oil. Squeeze the juice of one lemon over the chicken. Slice the remaining lemon and place lemon slices on top of chicken. Bake chicken to 30-40 minutes, or until no longer pink. Remove and set aside. In a large skillet over medium heat, melt butter. Add mushrooms and saute for 5-6 minutes or until mushrooms turn brown and soft. Add garlic and saute for an additional 1-2 minutes. Sprinkle flour over mushrooms and stir until coated. Stir in chicken broth until a medium-thick sauce forms. Continue stirring for another minute or until sauce is completely heated through. Serve chicken over rice and pour sauce on top. Sprinkle dried parsley on top. Looks so delicious! This will make a wonderful weeknight dinner! Now I know what I am making for dinner tomorrow! Yum! My family would love this wonderfully delicious dinner! Do you know if there's a way to convert this to a freeze-ahead go-to crockpot meal? I'm trying to do some of those and this looks DELICIOUS!! if not crockpot, at least a freeze-ahead? Tthank you! Hi Lori! I am so sorry, I have never tried it and I don't want to tell you the wrong thing and it comes out terribly! I wish I was more help! I made this recipe tonight for dinner and it was really good! I will definitely make this again. It is staying on my list for meal ideas. Thanks for the idea! This is exactly the kind of recipe I'm looking for. I'm trying to loose a little weight and am watching my carbs. 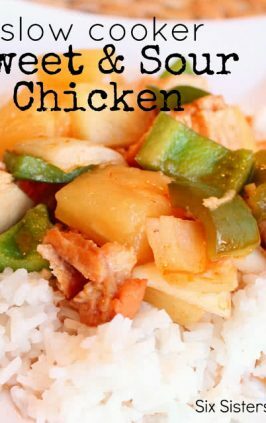 Many of these chicken recipe's have low carbs. I am really excited to have found this site. Thanks for the recipe! Made it and it was really good! For some reason I needed to add more broth for the mushroom sauce but it was still really good. Yes, I also added more broth. 3/4C was just right for me. I was so excited to make this, looked so good from the pic, really disappointed that it was very bland & had no flavor. I noticed it had no salt and went ahead and added some to my chicken and to the mushroom sauce. I was surprised it had no salt in the recipe. Made this last night for dinner, it was so bland. There was not taste, very disappointed. Recipe was trashed. 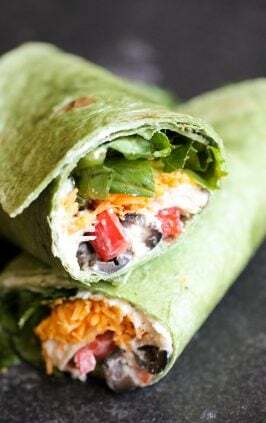 I've made this recipe twice now and really enjoy it! The first time I baked the chicken with some zucchini and onions and served with a flavored brown rice/quinoa mix. Second time I made it exactly as instructed and served with rice (made with chicken broth). So delicious and reheats great! First time making it. Was so delicious!! 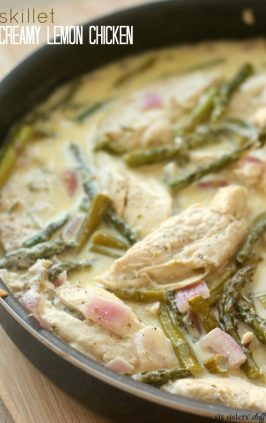 I served over wild rice with asparagus and the husband loved it, I loved it and my picky toddler are it no problem.